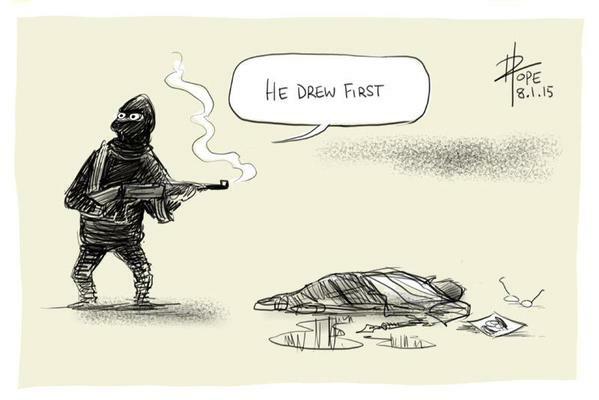 ← What is There to Say About This, Charlie Hebdo? It isn’t much, but yesterday, at least the cartoonists had a small chance to strike back. A very, very small chance. This entry was posted in Politics, Religion and tagged cartoonists. Bookmark the permalink.